At what age do kids have to buy tickets? Ten and under are free. If I bought a 2-day ticket and plan on coming for three days what do I do? You can always upgrade your ticket at the gate as long as that night is not sold out. For cost see ticket info. Is there a 1-day ticket? Only for Saturday. There is not a 1-day ticket for any other day. If you want to come Tuesday, you must buy a 5-day ticket, if you want to come Wednesday, you must buy a 4-day ticket, and so on and so forth. Do you have to have a 3-day ticket to reserve a 3-day campsite? No, you only have to have a ticket # if you are reserving a 4, 5 or 6 day campsite because those days are limited. Do you take credit cards at the gate? YES! We also take cash or check. All Tickets are scanned at the gates. You must call our office and have a lost ticket form filled out and we will be able to VOID the ticket and report it lost and/or stolen. The lost and/or stolen will not be allowed to enter the campgrounds and law enforcement will take over the situation. We will re-assign you new tickets to gain admission into the festival. 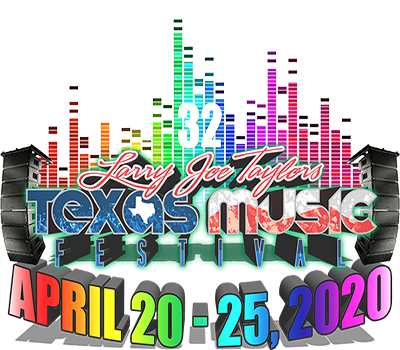 Please call our office ASAP at (254) 968-8505 if your ticket has been lost and/or stolen. Can I get in after mid night? Only if you have already been in during festival hours. You must be in the same vehicle you checked in during festival hours. If you do not have a parking sticker and armbands for every person in the vehicle you will not be allowed in after festival hours. If you have a parking pass and armbands you may come and go as you please at any time. Please DO NOT DRINK AND DRIVE. There will be many officers on patrol at all hours. What is the best time to come in and avoid the rush? Between 10 am – 2 pm. Each year we allow persons that had a campsite the previous year, a chance to re-reserve the same camp site(s) the next year. We have a period called “return reservations” when people can call and get the same site(s) they had the year before. If they want to get new sites or add to their sites they must wait until “return reservations” are over. If I had sites last year, when can I get more sites? We suggest that you reserve the sites you had last year and then when “return camping reservations” are over you can call back and change or try to get more sites together. When will you know if a site next to me is open? Since all the campsites were sold out last year we must wait until after return camping reservation are over to know if a site is available. Last year no one camped in the site next to me, can I get that site? All reserved sites were sold out last year. Sometimes people reserve sites just so they won’t loose their spot. We will not know if the site is available until after return camping reservations. What is the difference between reserved non-electric and Keystone non-reserve camping? Reserved non-electric is an actual marked off spot, so you know which spot you will have when you reserve it. Keystone non-reserve camping is just an open field and the location of the site will be first come first serve when you arrive. When do we receive our camping decals for our vehicle? We will mail all camping decals at the end of March. Anyone that reserves a campsite after the end of March will receive their camping decal in a week to 10 days. What happens if I do not call and re-reserve my campsite? Your campsite(s) will be open to any one after return camping reservations are over. Can I bring my camper in early? Unfortunately, this is not possible. You can only bring your camper in on the day you have a ticket for. Can someone else drop my camper off for me? Yes. This is a growing request with an increase in rental campers. The procedure is still the same, you can only come in on the day you have a ticket for. They must fill out a sheet given to them at the front gate with a $100 cash deposit. The person will then have 1 hour to drop off the camper. They will then be escorted to the campsite and escorted back out of the festival grounds. How big are the reserved campsites? If I’m coming down on Tuesday and my friend is coming down on Friday, can he or she park at the campsite? You can only have one vehicle per site so if you only have one site the other vehicle will have to park in the parking lot. You may, however, go pick them up in the parking lot. How big are the Keystone non-reserve campsites? These sites are not marked off and the location of your campsite will be on a first come, first serve basis when you arrive. These sites will be located in the primitive camping area only. Please limit these sites to a 30' X 30' dimension. If I reserve a Keystone non-reserve campsite, how many campers can I bring in? You may only have one vehicle and camper per site. You may have multiple tents but all other persons will have to park in the parking area or buy another primitive campsite to get another vehicle in. What if my camper will not fit in a reserved site? Then you can either reserve two sites or reserve a primitive camping pass. How far is Section A from the stage? 350 yards to the middle of section A. How far is Section B from the stage? 250 yards to the middle of section B. How far is Section C from the stage? 450 yards to the middle of section C.
How far is Section F from the stage? 200 yards to the middle of section F.
How far is Section G from the stage? 530 yards to the middle of section G.
How far is Section H from the stage? 600 yards to the middle of section H.
How far is Keystone non-reserve camping from the stage? 500 yards to the middle of Primitive Camping. How far is the parking lot to the stage? 450 yards to the middle of the Parking Lot. Yes, there is an ATM in the vendor area. When will the official line up be announced? The official line up is usually announced March 2nd also Texas Independence Day. Yes, there are over 30 food & arts and craft vendors from across the US. Yes, there are two locations to buy ice. One, along the main entrance road, and one at the Mini Super Beer Store. Can I bring my on alcohol? Yes, if you are over the age of 21. Alcohol is not sold on site, however, there is a Mini Super Beer store located on site (vendors row) that sells beer by the case or cold singles. Glass bottles are not allowed and will be confiscated by Law Enforcement. Will there be port-a-jons in my campground? Yes, we have over 500 Port –A-Jons in every section of the festival grounds. Although there may not be one on your campsite but there will be one in the area. Some people with large groups prefer to reserve a port-a-jon of their own. If you wish to do this you my call A+Port-a-jons at 254-968-2191. This is the only company that will be allowed to rent and maintain port-a-jons. Yes, there is a fire wood vendor if you prefer not to haul firewood in. You may not cut down trees on site for firewood. We have built a permanent 22 stall shower house to provide the needs of festival-goers. There will be eleven men's and eleven women's showers each having a handicap accessible stall available on the camping grounds. How can we get water or refill our camper’s water tank? Will there be someone pumping out RV’s? Although we hope it does not rain it has happened in the past. As long as the weather is not severe the music will continue either on the band stage or acoustic covered pavilion stage. The best thing to do is to stay put, find some place dry and have a good time. Don’t drive in the campground. The majority of Melody Mountain Ranch sits on a hill and will dry out rather fast if people do not drive and make it worse. We do understand that people get stuck and we have several tractors ready and will assist people at no charge. Buckle up on your trip to the festival. Make sure you vehicles and camper’s tags, lights, and registration is up to date and in working order. For your safety, there will be an increased presence of highway patrol officers during this event.